Ignite Education: The Future of Addressing? W3W codes for two distant locations. There’s nothing really magical about how W3W works. To find your three word location you identify its grid square on a map. How? Using good old fashioned geocoding! 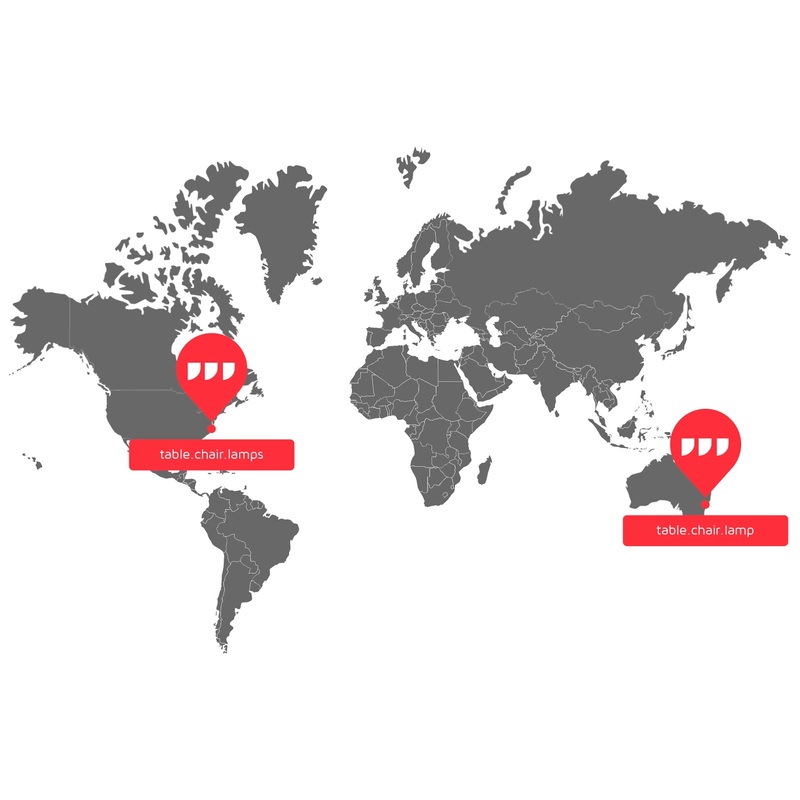 W3W uses the Google Maps geocoder in its online tool. The user types in an address, city or post code, then looks at the map to hone in on the exact grid square of interest. A user providing a location for the postman to deliver mail, might choose the box that includes the front door or the the stand alone box. One providing a location for a friend driving over might include the one with the driveway. The three word location is provided in the language of choice; W3W currently supports nine languages. The company worked hard to keep naughty and embarrassing words out of the system. With the the three term address in hand, the user can share the easy to remember triplet with whoever needs it. The recipient will use a W3W enabled tool to identify the location and most likely, if needed, use traditional routing tools to find a route. In short, W3W offers a service that’s a giant, multi-language mapping table for its very small area grid squares. The code converts triplets back and forth to more familiar address forms: streets addresses, latitude and longitude, building names, etc. W3W’s solution provides unique addresses for every 3x3 meter square of land and water on earth. Many countries do not currently have any sort of addresses and others have inconsistent, incomplete or complex to use solutions. The solution offers addresses for much smaller areas than most addresses currently support. House numbers and baseball field identifiers don’t detail where the mailbox is or where the home dugout is. W3W can do that. The solution uses familiar terms rather than seemingly random numbers or letters to identify a location. This, the company suggests, makes addresses more memorable and less prone to miscommunication orally or in writing. This use of actual words is what makes W3W different from many solutions that came before it. A number of companies had solutions with word and number codes (US,NEW YORK,TIMES SQUARE or 8CNJ Q8ZG) or words created, and sometime paid for, by those interested in the address (JohnsHouse). W3W has made its case convincingly enough to win awards and garner continued funding. Esri has implemented the system on its platform. W3W does not face a technology challenge; it faces a cultural one. In areas of the world with no or challenging systems, W3W has a lot of promise. It also has promise on campuses with complex (sometimes unnamed) roads, building names and building entrances. I’m thinking in particular of universities and hospitals. Where addresses are “pretty good” and entrances more obvious it’s a harder sell. Consider a traditional U.S. address (5514 S. University Ave, Chicago, IL 60637) and its W3W one (natively.zone.speak). The street address above has meaning to me and others including, I’ll bet, President Obama. That street address in on the University of Chicago campus. The ZIP Code has meaning, too. And, while natively.zone.speak is unique and memorable it’s not in any way related to the University or its neighbor grid square, certified.waddle.ranch. While I applaud W3W’s efforts and successful marketing thus far, I need to see one more piece of its marketing plan. How is the company going to convince companies and individuals worldwide to actually implement and use it? The best chance of that, I think, would be if Google (or its ilk) acquired the company and implemented the vision. But that means W3W would need to be “better” and “more accepted” than Google’s own Open Location Code vision.